The writings are on the wall: President Akufo Addo and his New Patriotic Party (NPP) government have no solutions to the problems of this nation and have thus resorted to selling the future of the youth of this nation by enslaving us to the Chinese! Against all reasoning and rationalization, Dr Mahamudu Bawumia, the Vice-President of the Republic, who is masquerading as an economic whiz kid, is leading Ghana into a deep ditch that we might never be able to climb back up as a country. His announcement that he and his team had secured a whopping USD 15 billion loan from the Chinese government raises serious concern for the future of the youth of this country. Suddenly, the whole world should praise and carry Bawumia shoulder-high because he has led a team to secure a loan facility for Ghana. Isn’t Dr Bawumia ashamed of his frequent dishonesty which is now becoming chronic? It’s a pity how times change! We have not forgotten, and we are always reminded by the then candidate Akufo Addo and his running mate Bawumia constantly reminding the whole world that the John Mahama-led National Democratic Congress (NDC) was over-borrowing. They even told us that they would develop this country without borrowing. Now this sudden U-turn shows how the NPP used deceit, lies and half-baked truths to win power. 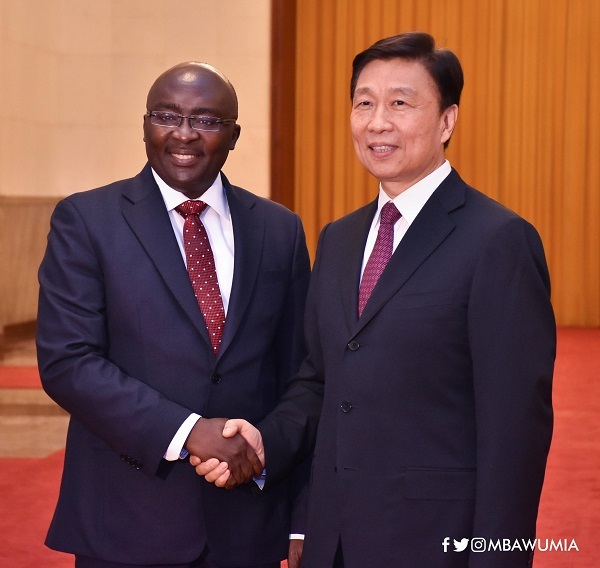 According to him it makes “economic sense for Ghana to use what it has to get what it needs from other countries.” In exchange for the facility, China would be given an unimpeded access to tap Ghana’s rich resources which include a 2.8 billion metric tons of iron ore, 960 million metric tons of Bauxite, 430 million metric tons of Manganese and 413 million tons of limestone. Interesting, isn’t it? We should be prepared for the worse as a country! If the youth of this nation do not rise to oppose such a dangerous move by the NPP government, we are sure to be left penniless by this clueless administration and saddled by debts that we might probably never be able to pay. But frankly, which sane economist advised the NPP government to enter into this ridiculously senseless venture with the Chinese?These are interesting and dangerous times! How does a government that claims to have the future of the youth of this country at heart embark on such a reckless act to the detriment of this same youth and the unborn generation? And is this the magic that the so-called economic genius of the NPP promised to roll out to turn the fortunes of Ghanaians? Whilst we await the full details of this USD 15 billion Trojan horse, we the members of the Young Cadres Association (YCA) would want to serve notice to the government that they cannot take the nation for a ride. We are appalled by this flagrant irresponsibility and as a youth-focused group, we cannot sit by and allow the future of this nation to be sold by a few thoughtless individuals. We are thus by this saying that we will fight; we will fight till our last breath to ensure that our economic security as a nation is not endangered.